See below for instructions on Entourage email setup. 2. 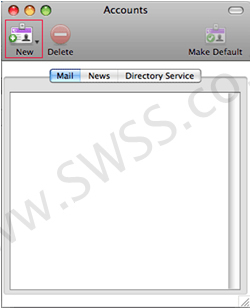 Click the Tools menu, and then select Accounts. 3. 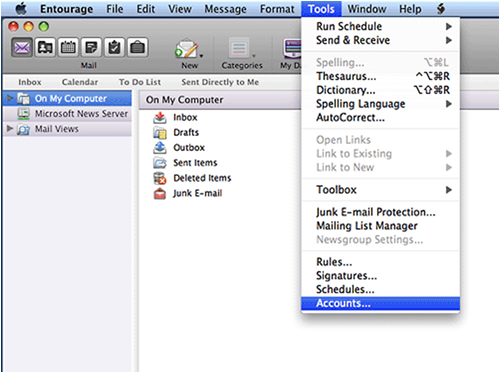 In the Accounts window, click New. 4. 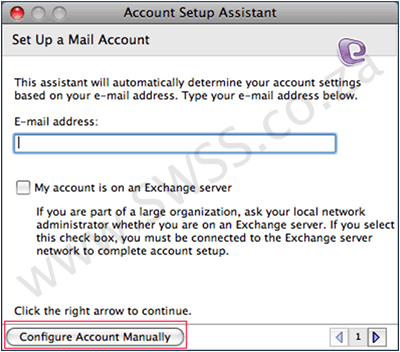 In the Account Setup Assistant window, click Configure Account Manually. 5. 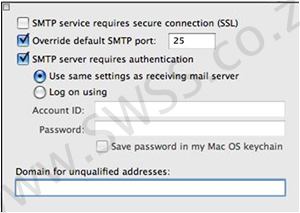 In the New Account window, select POP in the Account type drop-down field, and then click OK.
• Account Name: Enter a name that can best describe this email account, such as My Office Email. This name is not visible to the public. • Name: Enter your name or your company name. This name will appear on all emails that you send out. 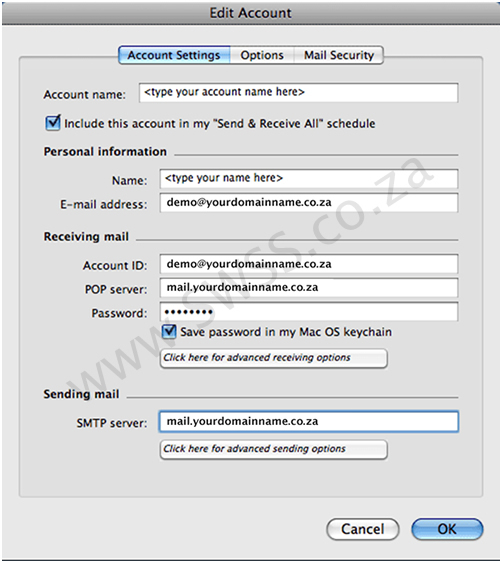 • E-mail address: Enter your email address demo@yourdomainname.co.za This email address will appear on all emails that you send out. 12. Entourage should be set up to send and receive mail.